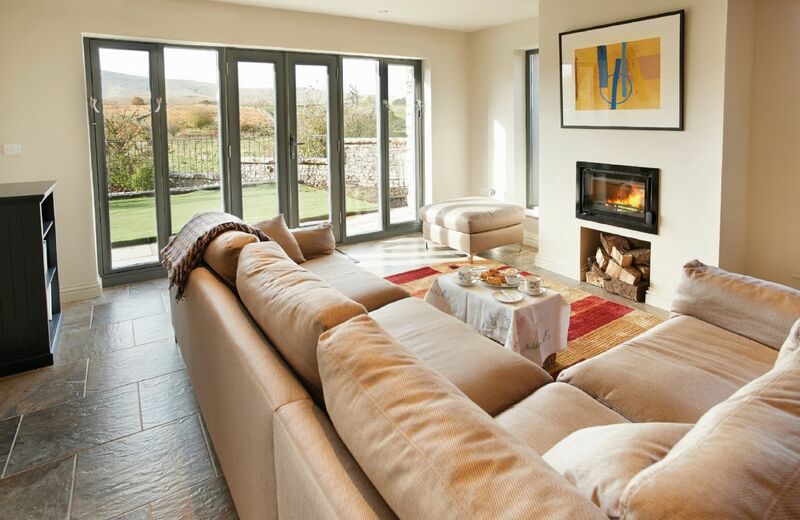 33 Cumbrian & Lake District Holiday Cottages - From under £350! 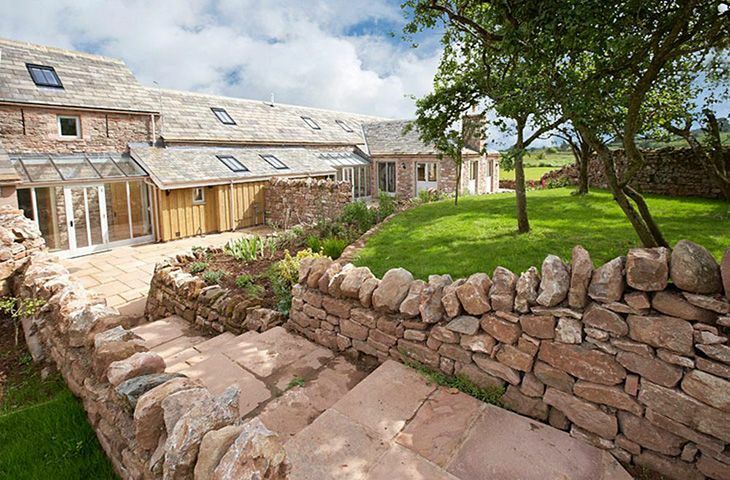 Considered one of the most beautiful regions of the UK and encompassing the entire Lake District, Cumbria has developed a natural companionship with cottage holidays. Lake Windermere is England’s largest lake and arguably the most beautiful. Surrounded by wildlife and blissful scenery, the flora and fauna is simply wonderful. Your visit wouldn’t be complete without a traditional lake cruise with Ullswater Steamers; an excellent way to combine beautiful walkways with the spectacular lake. If the great outdoors is your thing, then Cumbria is the destination for you. 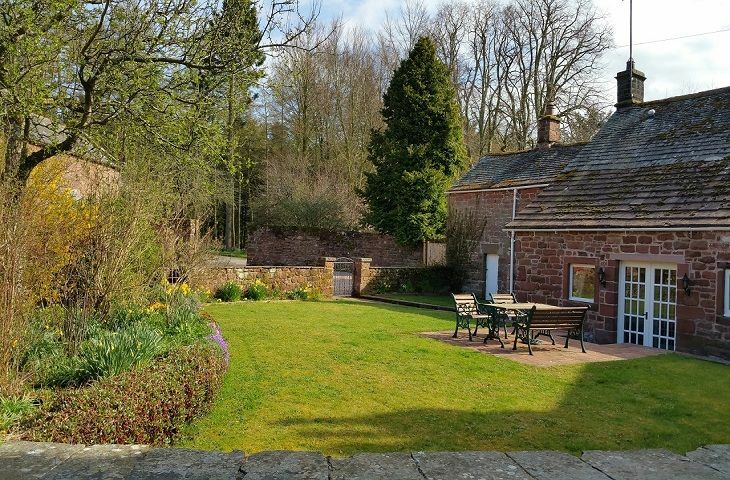 Packed full of walking routes, cycling paths and other outdoor activities – you can do as much or as little as you like, but have no doubt that with a stay in one of our self-catering holiday cottages you can combine the great outdoors with rest and relaxation. For the children there are many attractions to keep them entertained during your stay; from animal parks and aquariums, to steam trains, open-top buses and boats. Take a walk back in time and visit ancient Cumbria or enjoy an educational tour of the many mines and quarries. Budding historians, you’ve found your haven. There are a number of notable structures. Look out for the many castles, churches, mills, railway stations, museums and other tourist attractions that are of interest for the buildings themselves. Visit the numerous Roman forts and abbeys on offer here set in the beautiful countryside. In Cumbria you’ll also find the Lakeland motor museum, South Lakes Safari Zoo, Carlisle Castle, Hadrian’s Wall, Lanercost Priory and Furness Abbey to name a few! 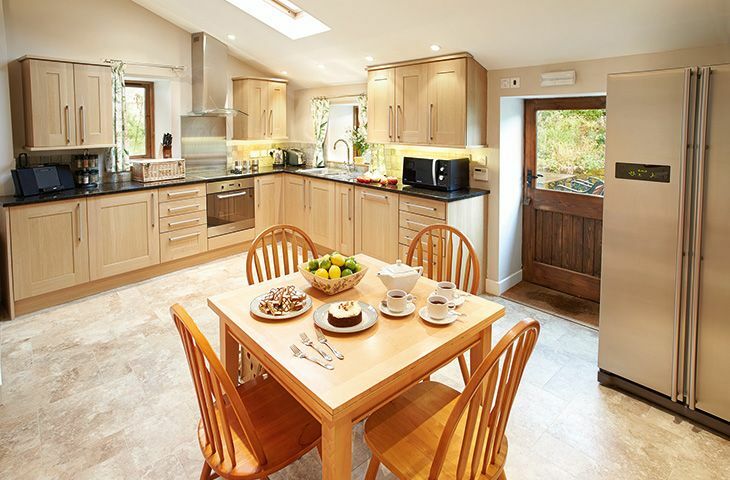 A holiday cottage is the perfect base camp to ensure you see and do all you set out to. When it comes to dining and entertainment, Cumbria is home to many award-winning restaurants and gastro pubs. You’ll find locally brewed beer, plus an abundance of local produce. Combined with international inspiration, these create a mouth-watering experience for even the finest of diners. Whatever you decide to do, you’re sure to find your stay an incredibly enjoyable one. 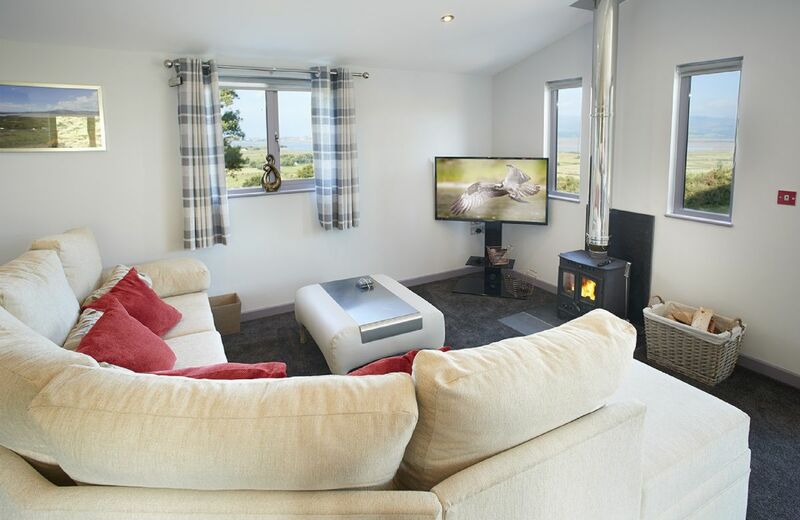 Now you can choose a relaxing holiday cottage in Cumbria to act as your home for the stay and to relax in after a busy day out seeing the sights! Your search returned 33 matching properties. Brilliant lodge. One of the best self catering lodges we have ever stayed in. Beautifully furnished with all mod cons. Hot tub was useful after a hard day's walking. Helpful owners. Only slight negative was the lack of Wi-Fi. Amazing location- very quiet, beautiful views and not many people around us. The lodge was very clean and Maxine put some decorations out for my partners birthday. A lovely stay, would go back again. Gorgeous place! Maxine was so lovely and welcoming and left us a really thoughtful welcome hamper with champagne, local eggs and a few snacking bits. The house was super clean and so homely and the hot tub is situated perfectly to look over the fields and see the stars. Would recommend to anyone! We had an amazing time. Beautiful cabin, host was lovely and made sure everything was ready for us. Absolutely fabulous lodge, beautiful decor and location, topped off with a hot tub. Couldn’t have been any better. Lovely cottage with a great host, thanks for a very enjoyable stay! High Bridge Haven was immaculate. In a beautiful setting and ideal for day trips out to the surrounding area. We had everything we need and the owners were very kind in setting it up how we had asked. From start to finish every detail was thought about to create a lovely stay. I stayed here last week with my girlfriend for 5 nights. We were very fortunate to have picked the week where the weather was at its hottest! The place is owned by Maxine and her husband, who made us feel very welcome from the first minute but then also left us well alone to enjoy our little getaway in the lakes. The place was pristine and beautifully laid out with a modern decor. It was spacious and located perfectly. It isn't right in the middle of the lakes but located just below the main areas so feels nice and quiet and secluded. Yet doesn't take long to reach the likes of coniston and windemere. I have to mention the wecolme hamper we were greeted to. There was prosecco on ice when we got there which didn't last long! And the hamper included fresh eggs from the local farm, crusty bread, cereal, crackers, biscuits, cakes, jam as well as milk and more. It was a lovely touch and you can tell that Maxine cares about giving her customers a great experience. The hot tub was the main attraction and it didn't disappoint. It was checked and maintained each day by Maxine's husband who owns a hot tub business and is under a nice shelter which was perfect when the sun was beating down. If you are looking for a place to stay for a few nights with your partner just to get away from your general life and explore somewhere new I can't recommend this enough. The lakes are amazing and there is plenty to explore and this accommodation is so new and well kept. Sitting in a hot tub with absolute peace and quiet with a few cows in a field next to us is just what we needed to get away from city life in Manchester and this was so perfect for that. I couldn't fault anything. Wow. What a stunning review. I am so pleased that you had a fabulous break at High Bridge Haven and thank you so much for taking the time to leave your feedback. Wonderful welcome, delightful accommodation and brilliant weather. Couldn't ask for more. 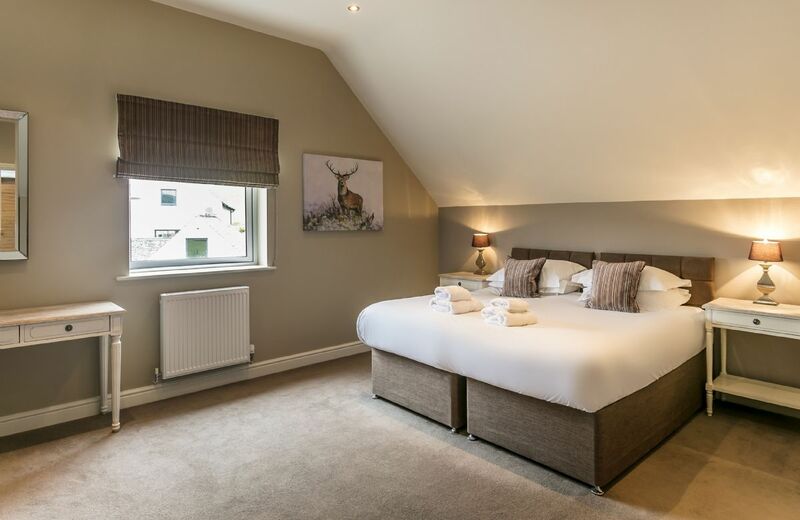 Well appointed luxury lodge in a stunning location. Fantastic hot tub and log burner. Stayed for a second time and found the place to be every bit as lovely as the first time we went. The place is simply faultless. Spotlessly clean, all fixtures and fittings are of a high standard, and there is every utility you will need for your stay. The log burner and hot tub are without doubt the highlight of the cabin, but from the minute you get there you will feel very spoilt by Maxine, and the welcome pack too I’d fantastic. We will definitely make this a regular annual get away from it all trip. We love the place! Thank you for your lovely feedback. High Bridge Haven is such a special place and Maxine a terrific hostess who deserves all the plaudits for her welcome and her property. Maxine was extremely welcoming to High Bridge Haven and made sure our weekend celebrating a 30th Birthday was even more special with lots of extra touches! The lodge itself was spotlessly clean and had everything we needed. We also read on a previous review about the spring water so knew we needed to bring bottled water with us. The only slight issue we had was the fridge fan making some strange noises which we were told about on arrival so we knew how to re-set it when it went off. We had a lovely stay at this lodge. Everything was perfect from the moment we stepped in starting with a warm welcome. It was really nice to come in and see a hamper of goodies with a bottle of wine on ice. The place was very clean and to high standard. I would highly recommend staying here, especially for the hot tub if not for anything else. The wonderful feedback for High Bridge Haven continues. I am delighted you had such a lovely stay. On arrival we were met promptly and given a warm reception. We were amazed at the attention to detail that had gone into preparing the place for our arrival. We had just gotten married and the place was decorated for the occasion. The views were amazing and the place itself was perfect to spend a few days unwinding and relaxing. 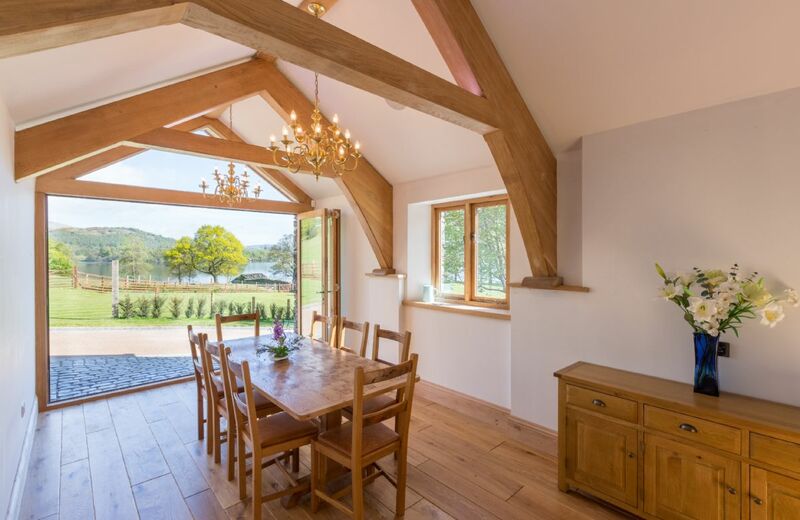 This newly constructed cedar wood lodge with its light and airy, open plan layout delightfully complements the sweeping Cumbrian landscape it is set within. 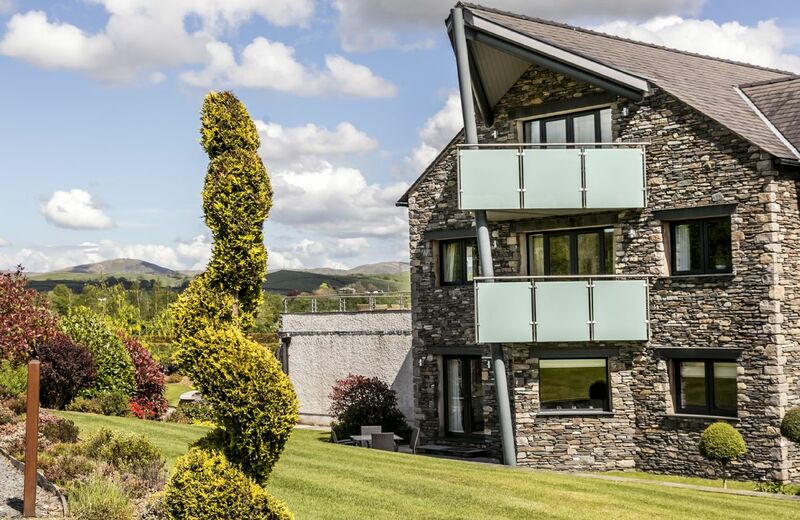 Overlooking the Duddon Estuary, High Bridge Haven is the perfect place from which to explore the spectacular beauty of the Lake District National Park just 10 miles away. Lovely cottage in a fabulous location. We arrived to a very clean cottage, a well stocked hamper and beautiful weather. The cottage had everything we needed for a short break and we enjoyed some local walks. The owners provide a lot of information including some pre-printed maps of local walks which were very useful. The whole process from booking through to leaving at the end of our break was straightforward. Peace, comfort, facilities, attention to detail, helpful attentive team. This is a lovely rural property. Very comfortable and cozy. There was a problem with the WiFi for a couple of days, we needed the WiFi to enable us stay in touch with home as there was no phone network service. It was resolved but hence the 4 stars. Great, well equipped cottage. Nice and peaceful. A few nice local walks and an easy hop into the Lakes for everything else. Very comfortable with plenty equipment. Both bathrooms very good, particulaly the walk in shower which we needed. We loved very homely Elk Cottage, it was a delight to come back to at the end of a day exploring the area. The cottage is particularly well equipped, the beds were really comfortable and we all slept really well. Our dog loved the gardens which were a delight with an abundance of flowers. There were lots of birds around and it would have been nice to see a few bird feeders in the gardens. It is the first time we have stayed in a cottage in such a small hamlet and for us the only reason I have given it 4 and not 5 stars is because it was just a bit too quiet and we missed having a village pub. If you really want to get away from it all and have total peace and quiet, away from street lights etc., then this is the place to be and we could not fault the cottage for comfort. The food hamper we received is by far the best ever received, we loved everything in it. What a lovely review. Thank you so much. Accommodation, hamper, cleanliness, fruit bowl. We are delighted that you were so pleased with Elk Cottage. Thank you for your lovely comments. There were no kitchen cupboards left free to put our tinned / dried food into so the first half hour was spent sorting through utensils that I didn't need and making space for my own food. The doorway between the kitchen and hallway / dining room had very low headroom with no warning tape or markings on the edge of it to indicate / remind us, you won't be surprised to hear that there were two painful bangs on the head in the first couple of days. Thank you for your feedback - I will pass your comments on to the owner about the cupboards and the doorway. Cottage very clean and well prepared. Welcome hamper excellent. Our only gripe was that as a dog friendly cottage the garden had no totally fenced area. Dogs can jump up on to garden behind fenced back yard and off!! (Even Jack Russells!!) Shame a pub not nearer to walk to. But super. Super welcome basket.lovely comfy bed. The perfect place to recover from jet lag. We had an upgrade and were very impressed with the replacement ! Superb all round with everything you could ask for and more. Three excellent bedrooms and secure gardens. Amazing cottage and facilities. Could not fault it. 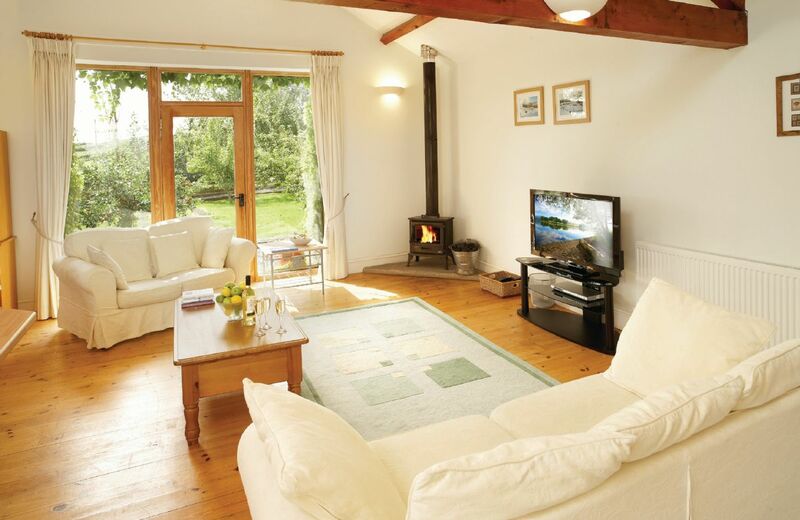 Lovely comfortable cottage and immaculately clean. Fantastic woodburner. 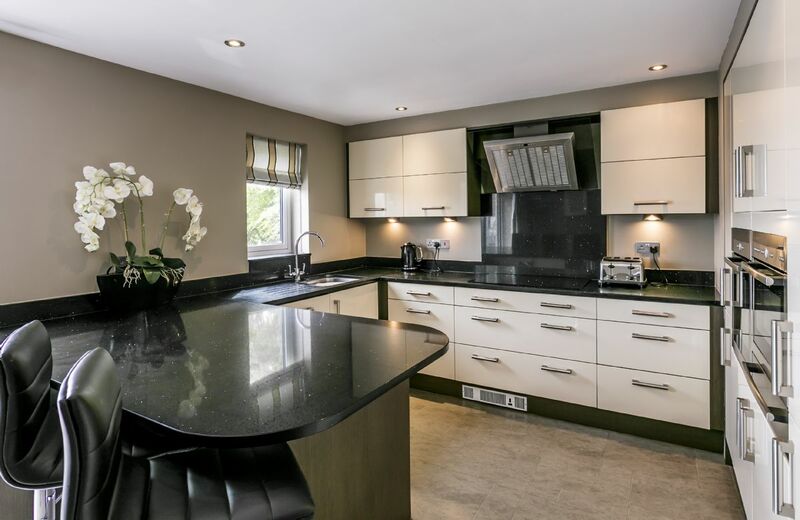 Well equipped kitchen and modern bathrooms. Could do with more side tables and lamps in the lounge. The cottage was very comfortable and well appointed. 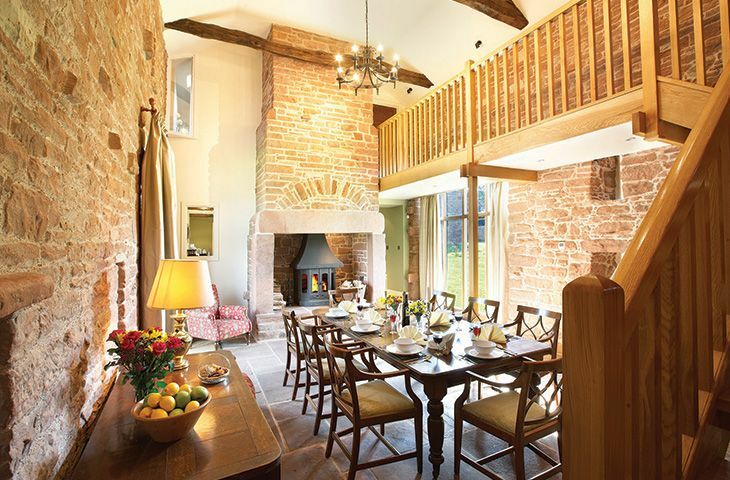 Elk Cottage adjoining Glassonby Old Hall is a 5 Star Gold Award-winning barn conversion. 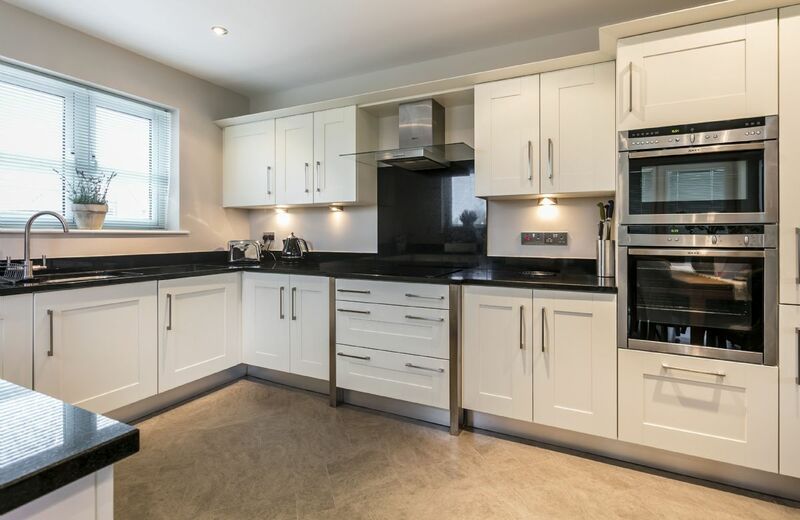 It features two en-suite double bedrooms, an oak floored entrance hall, sitting room with wood burning stove, large oak fitted breakfasting kitchen and rear terrace with raised flower beds. For holidays taken between 16 January 2019 And 30 June 2019 Minimum of 2 nights booking. For holidays taken between 1 July 2019 And 5 September 2019 Minimum of 2 nights booking. Extremely helpful and an amazing place to stay to get away from it all, will definitely be returning in the near future. The hamper was a lovely touch too as was the property itself was very well equipped, from salt & pepper in the cupboard to a cheese knife in the draw for when we sat in front of the log burner having cheese & biscuits with a large glass of wine. Lovely Cottage in lovely surroundings. Large open plan living and kitchen area. My son loved it. Good location for exploring the lakes. We would book again. My only complaint was bed wasn't very comfortable, but that may just be a personal thing! The welcome hamper we got was fantastic! great place and beautiful cottage! all perfect and we will surely want to come again. Nous avons passé un excellent séjour dans ce cottage, à quelques minutes en voiture d'Ulverston. C est un bon endroit pour se reposer après des randonnées dans le Lake District. On est au calme, avec une très belle vue sur la campagne anglaise. De plus, Sheila nous avait préparé un bouquet de fleurs et un panier de bienvenue (thé, café, biscuits, céréales, pain de mie, lait oeufs frais...) et Bryan peut vous conseiller sur des marches alentours. Une très bonne adresse. 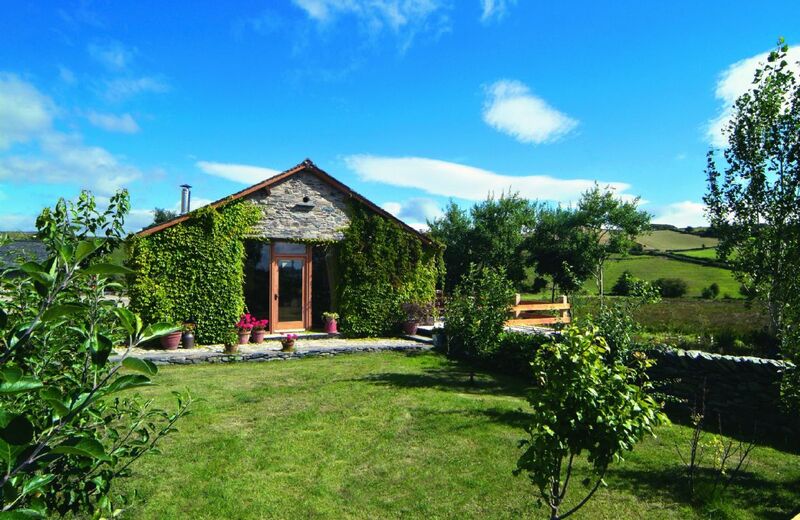 Merci beaucoup pour votre commentaire sur Fellside Barn. Je suis ravi que vous ayez passé un agréable séjour. Great place to stay to see the lakes beautiful scenery and gorgeous places to experience. The accommodation was very clean and well appointed. The the welcome pack was very good and much appreciated. Brian and Sheila were very welcoming and exceptional hosts. Overall would recommend Fellside Barn to anyone In fact I already have. Our dog was also made very welcome but I'm afraid Sheila we are keeping her !. Great pubs around and all very dog friendly. We had such a lovely stay there! The barn was so beautiful and much larger than it looks in the pictures. The location was a perfect base for us to explore the Lake District and so peaceful and tranquil at the same time! We would wake up to sheep grazing just outside our window and the sun rising on one particularly sunny day! The owners were very hospital and the welcome hamper was lovely! Our toddler loved it there and we found the barn very toddler friendly and safe! We will definitely return! barn was amazing,Lovely location. it was equipeded with everything you could wish and more. Fabulous barn conversion in a great location. Very rural but wonderful for our mini moon with our almost 2 year old. All in one level so great for little ones running around, very clean and beautifully done. A really light and airy space which felt huge when inside. Shiela couldn’t have been more helpful checking out timetables of a couple of activities we were interested in. Just a few minutes drive from Ulverston and 15 mins to Lakeside to get the boat to Windermere. Coniston Water 30 Nin drive and Bardsea Beach around 15 mins. 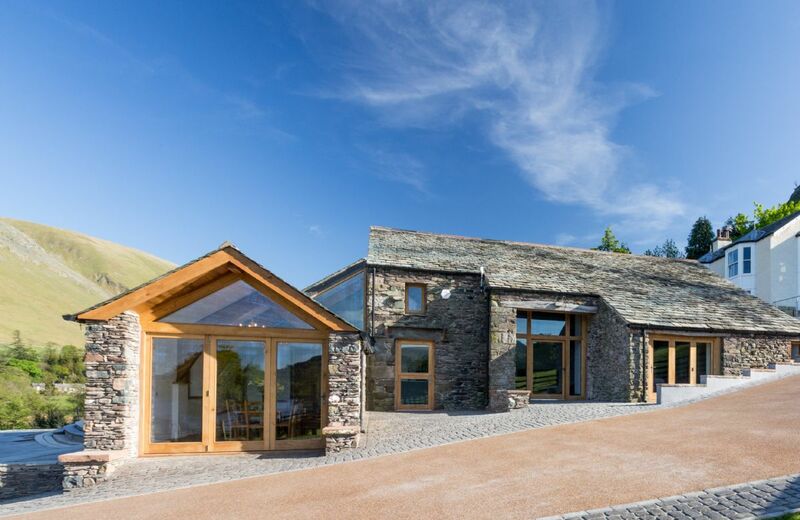 We had a fabulous time at Fellside Barn, great location for that part of the Laks District. Slightly disappointing experience and below usual Rural Retreats standards. Pretty place and location, but the photos advertising the property are at best out of date and at worse misleading. (The saplings in the garden are now quite substantial fruit trees and so there's not much open lawn. I had to remove a dog poo from the garden, which was very disappointing as we were holidaying with a two year old. Trees are now also blocking a lot of the view from the back of the property. Back cushions are completely missing from the sofa by the front door!) Property was well cleaned, but huge hanging cobwebs in the bathroom and bedrooms. I requested a brush from the owner to do it myself but didn't appreciate his comment telling me that the reason behind their presence was due to "a rural situation". (I come from a family of farmers and we’ve always managed ok. The owner apologized several times afterwards however which was helpful to a point.) Top of bedroom wardrobe and top of utility cupboard covered in dust and dirt. The property really needs painting as walls are scuffed, the kitchen knives are quite blunt and utensils not great. All that said, it is a lovely building where you can relax and socialize very easily. We feel that it should be priced lower as from our experience there are much nicer places available in that category. 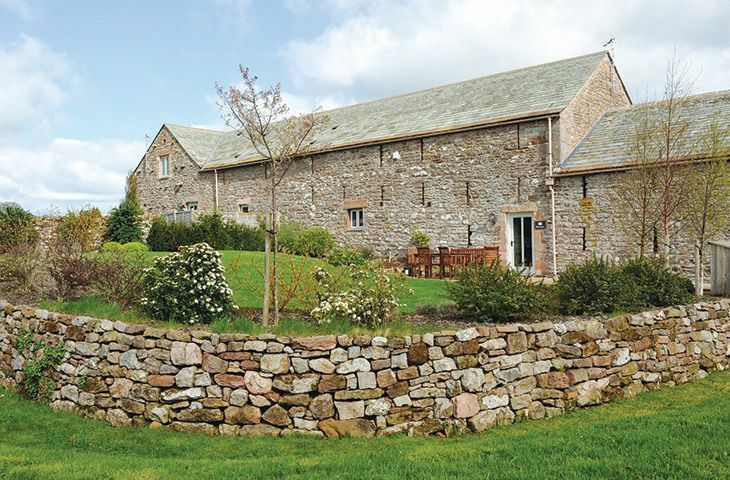 Thank you for your review of Fellside Barn. We are extremely sorry about all the issues that you describe and we have passed your comments on. The Barn was welcoming & comfortable, we felt very much at home. All the rooms were furnished beautifully. The welcome hamper was a real treat, we couldn't have asked for more! We enjoyed sitting out on the terrace and the garden was lovely. Thank you for your feedback. 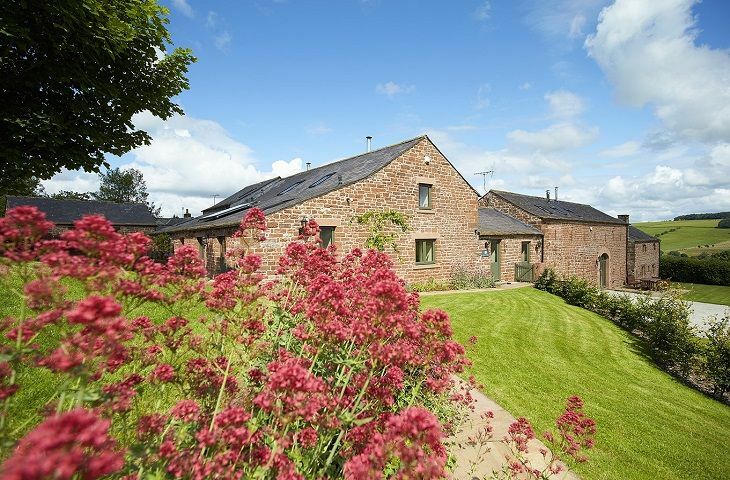 We are delighted that you had a lovely holiday at Fellside Barn. Lovely quiet location in area south of the Lakes but without the tourists. Good decking area with lovely views, attractive barn conversion, friendly owners and everything provided. I am sorry that you found Fellside Barn tired but thank you for leaving your feedback and we will certainly follow up your comments. 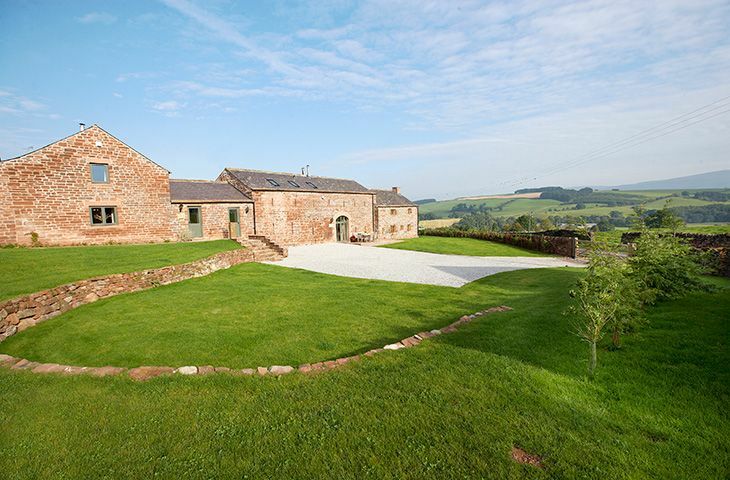 Fellside Barn is a beautifully maintained property in a very picturesque location. We received a very generous welcome pack with all the essentials (and some treats!) The owner couldn't have been more helpful. All in all a wonderful retreat. Lovely barn in beautiful location. Fully equipped. Beds weren't very comfortable. I also think that it was a bit pricey for 2 people in winter time. Fantastic service 10 out of 10, will defiantly use you again , and will 100% recommend to friends. Loved this cottage. Light,airy with a fantastic view from the decking area and kitchen door! Excellent housekeeping and made to feel very welcome. One of the nicest RR properties we have stayed in. 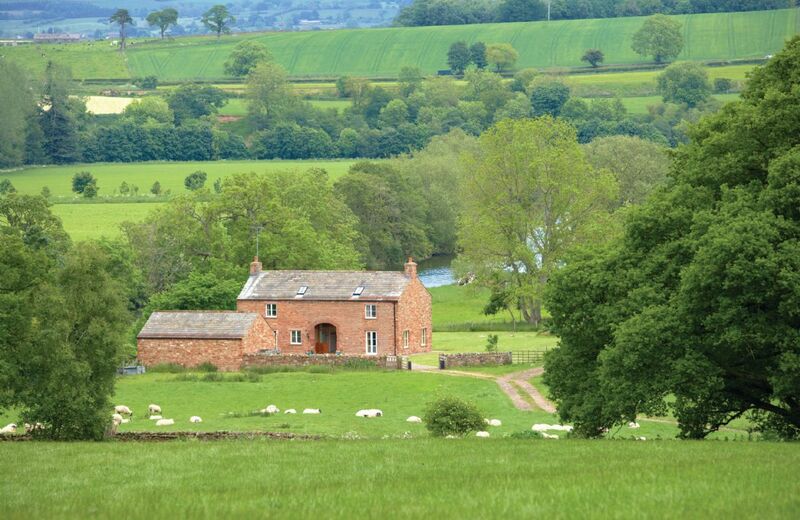 This detached barn conversion offers panoramic views over stunningly beautiful countryside where wildlife is abundant. It is in the hamlet of Broughton Beck, two and a half miles from Ulverston. You can view Coniston Lake from the nearby fell. For holidays taken between 12 April 2019 And 24 May 2019 Minimum of 3 nights booking. Lovely cosy cottage in a rural setting, very spacious, clean, great kitchen with everything you would need for a self catering break. Gardens beautiful however the enclosed patio area wasn’t secure enough for our puppy he escaped within minutes over the wall. Very comfortable and clean. The luxury hamper was amazing. Definitely recommend and would visit again. 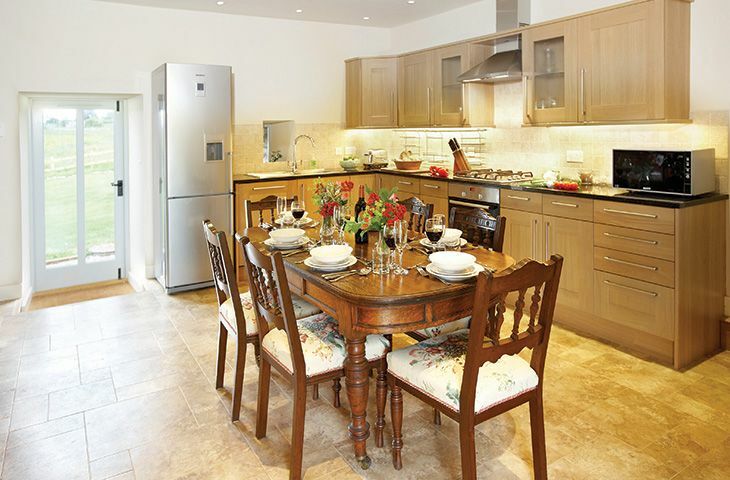 Cottage was very well appointed and in very good condition. The accomodation was well suited to our needs. Every care had been taken to provide comprehensive and good quality accessories. Beautiful, rural cottage . Fully equipped . Did have a problem with WiFi in cottage but didn’t impact our break . Stunning property. Well-equipped, clean and tidy - immaculate throughout. Outside space delightful with well maintained garden. Wonderful cottage in a very peaceful location with great views. Warm and welcoming, dog friendly. One of the best ever! Lovely property in a peaceful location. Jenny's Croft was one of the very nicest Rural Retreat holiday cottages we have stayed in. The kitchen was especially nice - well equipped with everything we needed. We always appreciate the welcome basket! Such a nice touch. 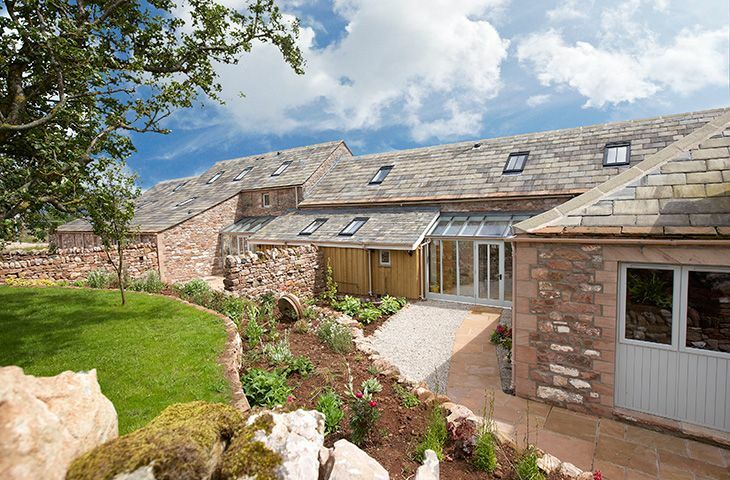 Jenny’s Croft adjoining Glassonby Old Hall is a 5 Star Gold Award-winning barn restoration with stunning views over the Eden Valley. It features spacious reception and dining area separated by a double sided cast iron wood burning stove. For holidays taken between 1 January 2019 And 30 June 2019 Minimum of 2 nights booking. This unique property near the hamlet of Watermillock, Ullswater, was once the hunting lodge for the Duke of Norfolk. 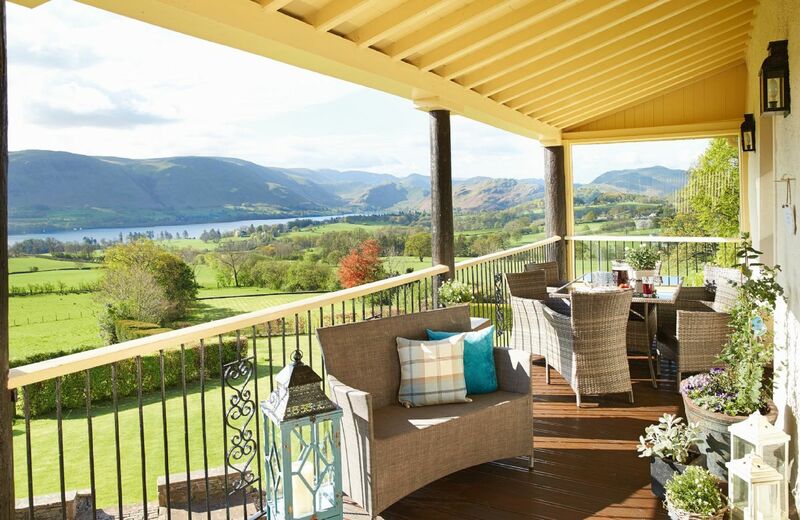 Its elevated site provides exceptional views of Lake Ullswater and the surrounding fells. The spacious accommodation is immaculately presented featuring a 30 foot sheltered balcony. We had a wonderful week, the garden was not secure and so we struggled when sitting out the back constantly making sure the dogs were safe. Couldn't fault the house and the provisions, very well equiped. Thank you for your great review of Riverain - we are delighted that you had a lovely holiday. Whilst many of our properties are happy to accept dogs we cannot guarantee that the gardens are totally secure. A really lovely, warm, well equipped house near beautiful countryside. Dog friendly. On this occasion we did not get a visit from the owner to check we were settled in. Disappointing as I have always enjoyed the welcome and the opportunity to ask questions about the property and location. Superb well appointed cottage. Only minor problem is some noise in the downstairs bedroom from room above. Housekeeper we met was absolutely charming. We have stayed in at least 7 rural retreats properties and this one exceeded all standards of comfort cleanlinesse and location. This was excellent. Property was lovely and very well maintained. Housekeeper sorted out somebody to alter the heating very quickly after we arrived. Warm and friendly response when we we were trying to find way to property without adequate directions from Rural Retreats. perfect setting. Everything was up to what we have come to know as Rural Retreats very high standards. Love the welcome hamper ... a really nice touch! The property met all our expectations. The response from Rowley Estates prior to and during the holiday was timely and informative. The website was excellent. Definitely a place we would return too. 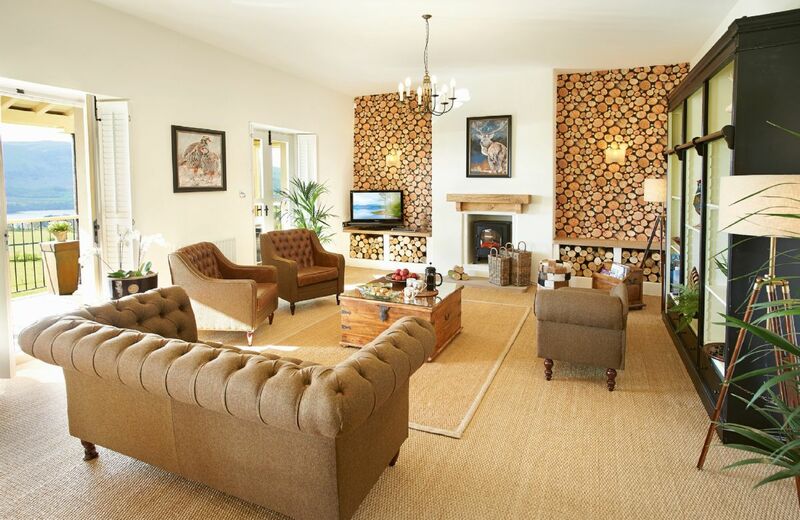 A beautiful house, fantastic setting and a very relaxing, enjoyable stay. There was a wonderful, comprehensive hamper awaiting us and, as they knew I was celebrating a special Birthday, a bottle of Champagne! !, such a thoughtful touch.We had good communications with the owners. We would have no problem recommending to our friends. Weathertop House is a great size, design and layout for 3 couples, good location, well equipped, fantastic views and access to walks from the door. The Black swan is 5 minutes walk away and is a fantastic restaurant. Our group stated it was the best property we had stayed in ( and we have stayed in some good ones) So good we extended our stay by a couple of days. The wonderful reviews for our special property Weathertop House continue. Thank you so much. A really relaxing holiday in a beautiful house. Would definitely recommend. A beautiful , spacious property managed by Joan who was a simply wonderful landlord. Absolutely stunning property with everything and more! The location is superb, in the village is a playground and a golf course (which our 3 yr olds loved) as well as 2 superb pubs. Getting snowed in on the first day was a delight, walk in the village, pub and then hot tub! Easy to reach the Lakes, (Wray Castle is a must with children who love Peter Rabbit) and perfect to get around the Dales. The house itself is immaculate and extremely comfortable. The drying room is perfect for all the walking gear. A beautiful house, very well equipped with wonderful views. 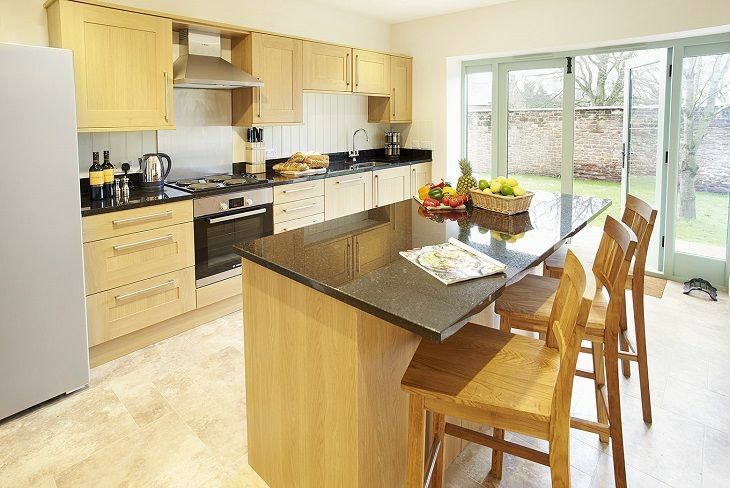 Fabulous large cottage with everything finished to a high spec. Wonderful views and a short walk to a couple of excellent pubs. Weathertop house is stunning! It has all the amenities you need for your stay there and everything was spotless and clean and the decor is amazing which made our stay there perfect ! The hot tub is an added bonus . Would definitely book to stay there again . Wow. Yet another fantastic review for Weathertop House. Thank you so much for leaving your feedback. Second time staying at it was a pleasure! Beautiful views it was perfect! Beautiful house and fantastic location. Would definitely return. 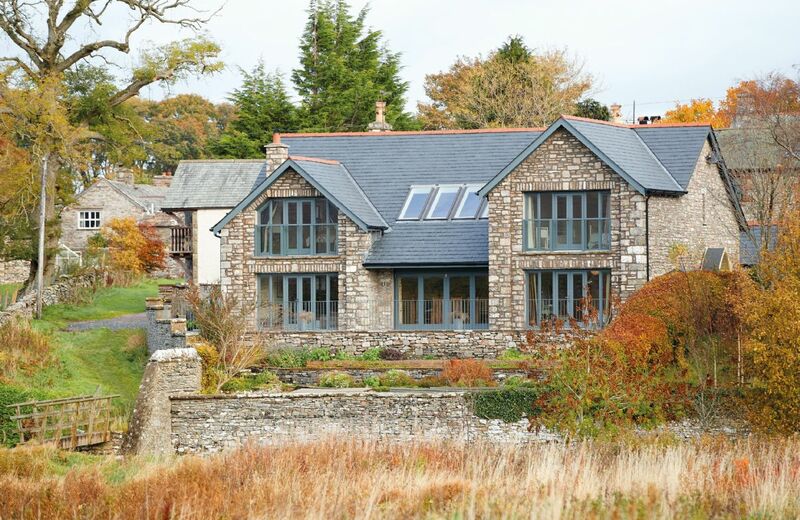 An extremely comfortable and stylish house which blends beautifully into the stunning countryside. 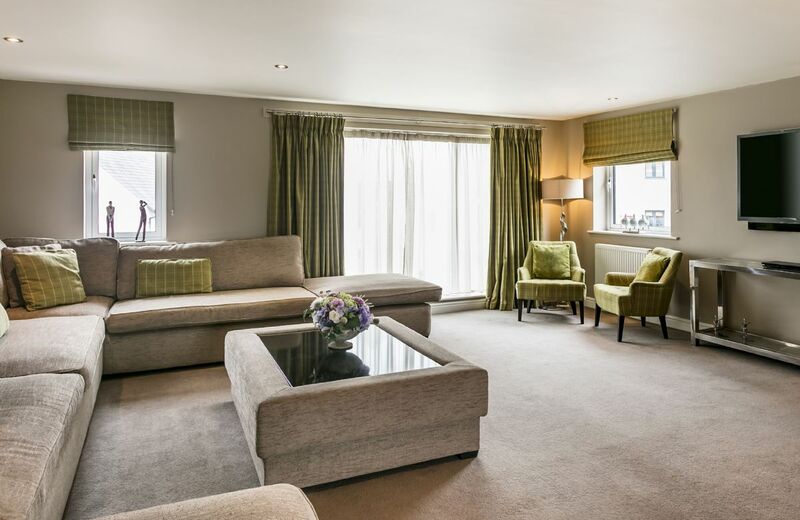 Three spacious bedrooms all with fabulous luxury ensuite bathrooms. There's a wonderful sense of space within the property and every room enjoys spectacular views. The owners were charming. They were ready to assist us if required but fully respected our privacy and allowed us to enjoy the house and do our own thing. The well thought out welcome hamper contained the quality food items that you come to expect from Rural retreats, it was particularly nice that it included local produce. This property is a real gem! Weathertop House was just beautiful. A perfect review for our lovely property Weathertop House. Beautiful house. Wonderful location with a fantastic view. The whole house is furnished to a very high standard and it is located in a beautiful village. We particularly liked the tennis and 9 hole golf course in the village itself and the lovely walks in all directions from the village. So why not a 5? On a hot summer's day the house is too hot. The upstairs seating area was like a greenhouse due to the roof windows and unusuable for most of our holiday, and the rest of the house was very hot too for about half our two week stay. Unfortunately opening the doors (which helped a little) let a lot of flies into the house which was the lesser of the two evils but unpleasant. At times we were really wishing for bad weather just so we could cool off! The seating area outside gave no respite as there is no shade during the day and no umbrella for the outside heating. As an aside the outside seating is uncomfortable, not something you'd want to sit in for any length of time. So - I'd really recommend it for Spring/Autumn but not the Summer! From the owner ~ Thank you for your lovely comments about Weathertop House. 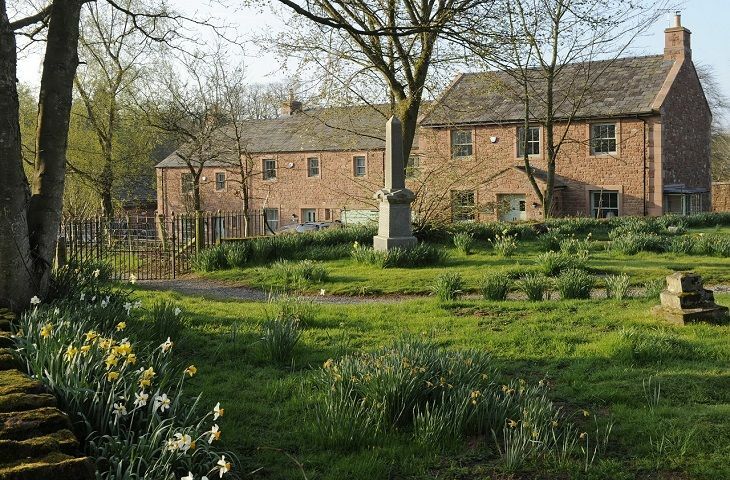 We’re pleased that you enjoyed the many attractions of the village. We are very sorry though that your stay was marred by the house being too hot. You were lucky – or perhaps unlucky? – that your visit was during a period of exceptionally hot weather, by far the most prolonged hot spell we can remember in our ten years of living in the village. As the house is new, and this is the first summer of rentals, this is our first experience of the ‘greenhouse’ effect that such hot weather can create. As a result of your feedback, we shall install blinds in the roof windows before next summer, and in the meantime, shall make fans available. We are also sorry that you found the garden seating unsatisfactory (we do hope that you found all the cushions in the shed?). We shall review this for next summer but again, in the meantime, shall make an umbrella available. Finally, we are very sorry that you did not mention these problems during your two week stay. We encourage all our guests to contact us with any issue, major or minor, and we are always available to at least try to sort things out. In this case, we couldn’t have totally rectified the problems but we could certainly have alleviated the situation e.g. with fans, so that you were more comfortable. Weathertop House is an amazing place to stay. Amazing views, facilities and set in a great little village. Would definitely stay here again when we are next in the lake district. We recently spent a long weekend at this property for my wife’s birthday, along with our adult children and their partners. When we arrived, we were greeted with a hamper of essentials (including wine), which was a nice touch. The accommodation was excellent and we would thoroughly recommend Rural Retreats. Paid just under £800 for what was supposed to be a relaxing weekend with friends, arrived only to be met by what can only be described as a plague of biblical proportions ... flies absolutely everywhere! Literally everywhere, so bad I thought I should be looking for a corpse. I wish I was exaggerating but honestly I’m not. The property itself and the grounds are fabulous and the welcome hamper was incredibly generous but honestly I couldn’t relax at all. They were just everywhere, the kitchen and especially the Aga were absolutely covered in them. There were a couple of tins of fly spray and 2 sticky fly papers left for us to use ... I actually ended up spending £40+ on fly killing materials, I had sticky traps hanging in every room and I used ‘Flea Foggers’ each night to kill them off while we slept ... in the morning the floors resembled the killing fields as they were black with dead flies. Eating was a basically a nightmare, every bit of food had to be kept covered and we were swatting constantly. Flies walking round the table, landing on plates etc. Couldn’t open the doors or windows as more would find their way so we were basically boiled in our own skin cos it was 27degrees indoors! I understand we were in a rural location and there isn’t really that much that the owners can do if there’s a fly explosion, however a heads up would’ve been helpful as we would’ve come a little more prepared. Thank you for your review. I am so sorry to hear of the problem with the flies and I have been in touch with the owners who have said - 'we are so sorry to hear that the flies were an issue during these guests' holidays. We had an incredibly unseasonable extended dry spell in the Lake District (6 weeks without rain) which exacerbated this problem across the county to the point where it has appeared in our local television stations as a news item. We are providing ultraviolet light fly glue boards, fly spray and fly strips for all of our cottages and hope that these will ameliorate the problem. We are sorry that the flies disturbed their stay and apologise for the inconvenience caused. Happily we have now had some rain and the situation has improved. We will look into installing screen doors and screens on our windows for the next warm season. This is not a problem which we have experienced before and attribute it to the unseasonably long, dry hot spell'. Everything was perfect. High standard of decor, every comfort, beautiful location, warm welcome. We hope to return. What we can say is the hall and surrounding area is just typical of the Lakes - stunning! Catering for everything you could possibly want, including dog towels, washing machine / dryer, fully loaded kitchen and a lovely hamper to welcome you (tea, coffee, bread, biscuits, milk, orange, eggs etc etc). Everything was perfect and as requested, a cot & high chair were provided. Location is just a short drive away from both Keswick and Penrith with plenty to explore inbetween. In the halls, therefore are countless folders, leaflets, books, guides - all aimed at helping you make the most of your stay. The endless supply of logs and kindling was a welcome sight especially as we stayed during the January snow. Jilly was always available for contact and answered all our questions and concerns very promptly. We will definitely be recommending it to friends and family as a little Cambrian luxury, and hope to visit again and pray we don't need endless trips to Penrith Hospital! I am very sorry to hear about the pneumonia and I do hope that the person concerned is feeling much better. Thank you for you excellent comprehensive feedback for Cazenovia Hall. Superb accommodation. Clean,warm, very comfortable and extremely well equipped. Absolutely fantastic cottage. A group of 7 of us all friends had a super pre Christmas get together. Another great review for our lovely property Cazenovia Hall. Many thanks. Much better than Tawstock Castle by miles. The lady that looks after the house (Jilly) was so helpful and fun. Bedding was comfy and the beds were so comfortably it was a pleasure to sleep in. Second time at Cazenovia this year. Love the comfortable ambience here. Everyone in our party was more than satisfied. What a wonderful review for Cazenovia Hall, thank you so much. Extremely comfortable high quality accommodation ... Friendly Nd helpful housekeeper . It was really, really good. I have left a TripAdvisor review extolling the house and service. So pleased with it. Slightly gulped at the price when booking, but it was worth every penny. Beautiful cottage and great location for exploring the lakes. 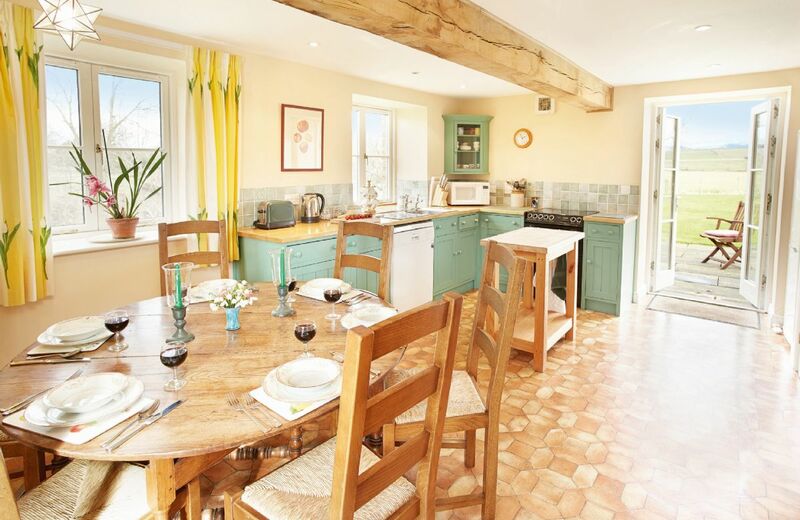 Clean and welcoming as you'd expect from a rural retreats property! Cazenovia Hall is a perfect rural retreat the accomadation is first class and the attention to detail is superb. A stunning location to see in the new year. 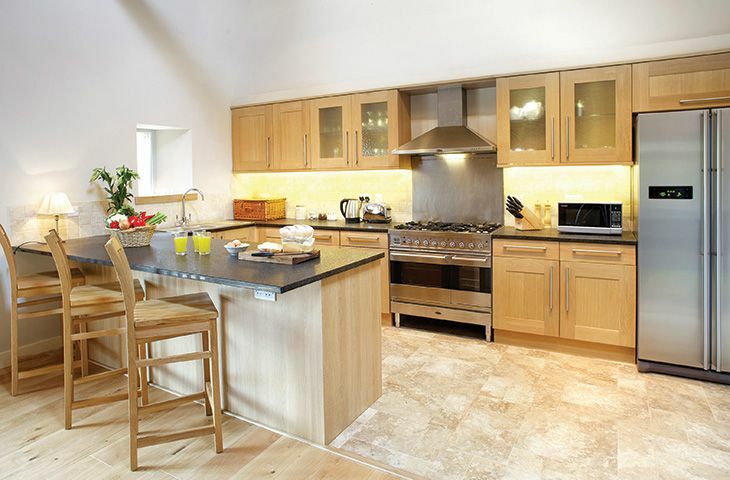 This superb, award winning property is a four bedroom conversion of a traditional stone built barn dating back to 1726. 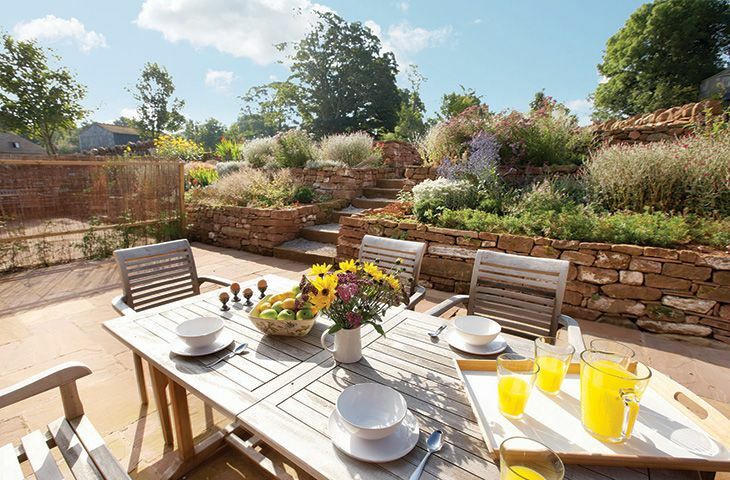 It has views up over the nearby hills and its secluded south facing sandstone terraces are a marvellous place to relax. What wonderful feedback. We are delighted that you had such a great experience at New Lodge. We would rate our stay as very good. Excellent location,great views,house was very well presented and equiped . Everything had been thought about. Beautifully equipped, very classy welcome basket, very very comfortable. Just perfect! Excellent location and inside of house is very nice. Didn't give 5 stars as outside of house is in need of a decoration, with flaking paint and signs of damp. Also, en-suite bathroom was starved of water when other bathroom was in use and underside of toilet seat was badly stained from urine. The perfect property for a family group. Spotless, comfortable and very well equipped. Lots of space and, of course, a wonderful location. A fabulous house in glorious surroundings. Clean, warm and welcoming with all needs catered for. Wonderful! 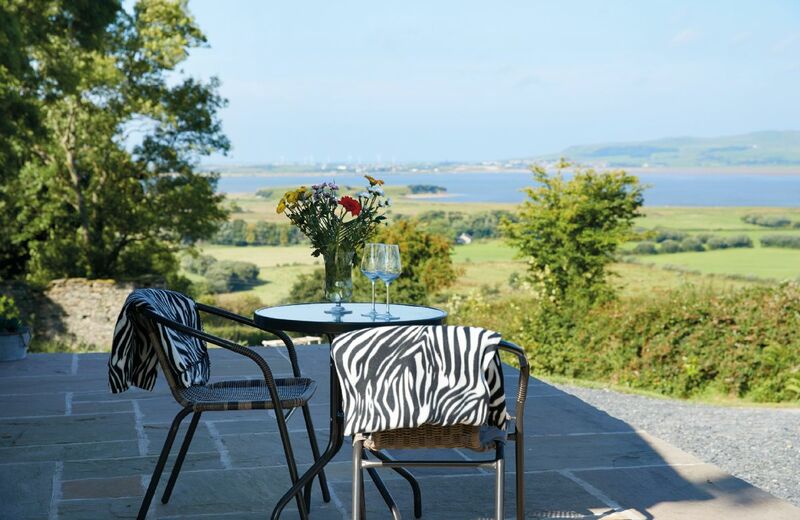 Stunning location, beautifull views, spotlessly clean and everything you could possibly need in a luxurious holiday home. Top quality welcome hamper definately a welcome bonus! Another great review for New Lodge. Thank you so much for taking the trouble to leave your feedback. Great accommodation in a great setting. The home is exquisite! Beautiful, well-kept, phenomenal location and fantastic views over the backyard. Wow, what a fabulous review for our special property New Lodge. Thank you for your lovely feedback. We are delighted that you had a wonderful holiday. Would have been nice to have info on the nearest walk. Was unaware we had to take the car somewhere to get a good walking track' so not enough info on the local area for walks, no info for nearest shop. Bedroom on top floor could do with window blinds. No life jackets with the canoes had to hire them and only one oare! New Lodge was beautiful, lovely location, stunning views and a truly lovely place to stay. My only feedback was the lack of wardrobes - this is a house that could sleep 9 people and only two wardrobes in the house. 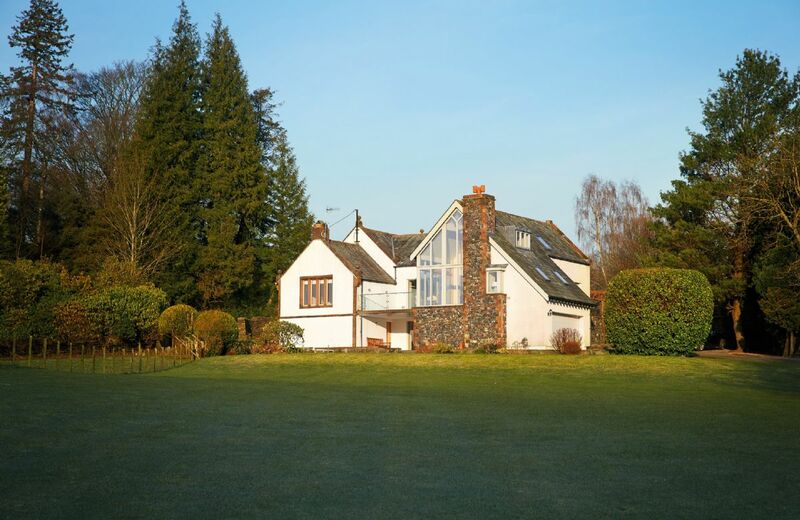 New Lodge was originally the gate house for Leeming House, dating back to the early 1900s and situated in a stunning location with outstanding views over Lake Ullswater. 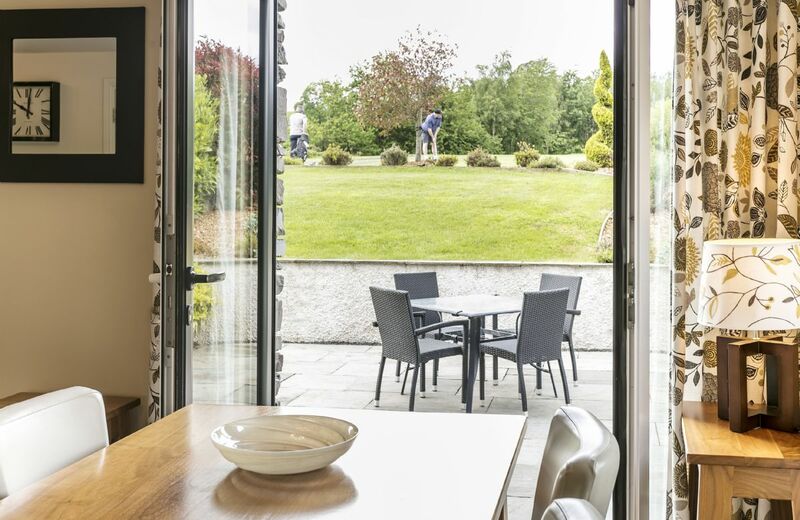 This luxurious lakeside lodge benefits from a stunning architecturally designed extension incorporating large areas of glass allowing you to enjoy the panoramic views of the lake, Barton Fell and Haling Fell from numerous levels within the house. To take full advantage of lakeside living, the house has its own private shore line and a small jetty at the end of the lawn, this is a wonderfully unique property. 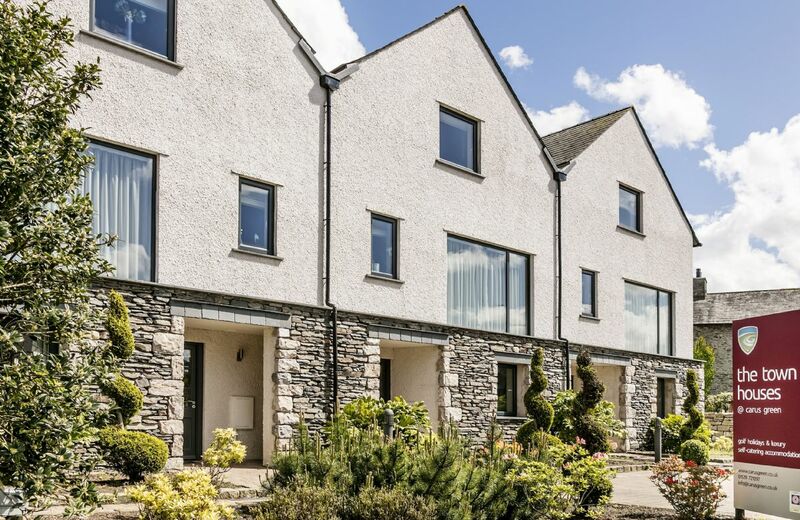 This stunning three storey townhouse situated adjacent to the first tee at Carus Green Golf Club provides luxurious accommodation for family, friends and golf enthusiasts. Located on the edge of Kendal, the delights of the Lake District are in easy reach.